21_21 Design Sight is a design museum about everyday objects. The museum displays varying rotating exhibits throughout the year with the common theme of Japanese design. 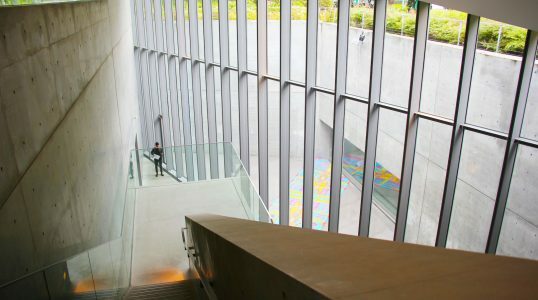 Because of this, it should be no surprise that the noted Japanese architect Tadao Ando designed the museum’s building. The structure features Ando’s signature style with large windows allowing natural light into the concrete museum. Ultimately, the museum building itself and its contents make a wonderful tribute to modern Japanese design.